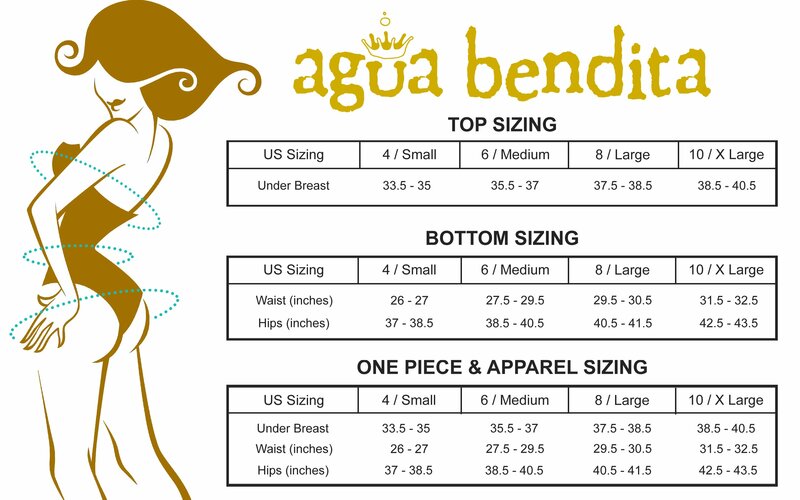 Agua Bendita‘s Mayura Hope Reversible Bottom. High-waist design. Lace-down ties over hips adjust for comfort as well as a custom fit. Also reverse to solid teal. Latin coverage offers just the right amount of coverage — not too much or too little. Fully lined. Wear together with: Georgina Top and Amaia Skirt.